Thousands of horses ran free once upon a time in the United States. Even today wild horses are a staple of the American West, when gunslingers, cowboys, saloons, covered wagons and more existed. Wild horses have been featured heavily in Wild West films and books. Native wild horses have long been extinct, but what remains are descendants of domesticated equines that were reintroduced to North America via expedition and mainly by the Spanish. During this time horses were abandoned or had escaped into the wild. As the herds grew due to no predators, they were hunted, poisoned and killed. 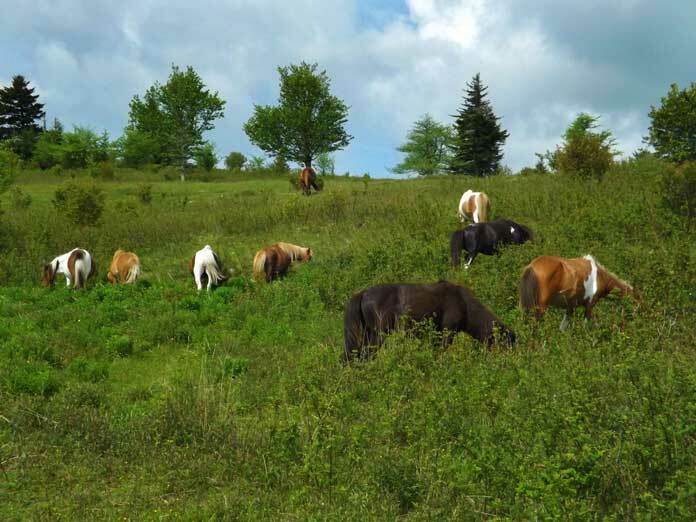 Today, Congress has gotten involved, and no legislation protects the herds. While these horses are considered more “feral” than “wild,” they still run free in specific areas in the U.S. and Canada. Stop by one of these places to catch a glimpse of a herd running free in their protected environment. Theodore Roosevelt National Park is located in North Dakota; the state has the rugged and wild look that you would picture a wild herd running free in. The park is home to100 to 200 free-roaming equines. There are several herds to see and the best time to see them is during the summer months when the young foals are still part of the herds. These horses call the Badlands their home, and they can be seen walking or running freely throughout the park. 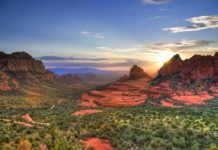 One of the best places to see them is at Painted Canyon Overlook or Buck Hill, which are both high points overlooking the land below. Try one of these high points or ask one of the park staff if and where they have seen any of the Mustangs lately. The North Carolina Outer Banks area once had herds that numbered in the thousands. The ocean views and sandy beaches have drawn a lot of resorts in the area which has affected the number of horses. The Corolla Herd, for example, only has approximately 60 horses left. These herds are believed to be descendants of the Spanish horses, which were left behind as they returned to their ships and sailed back to Spain. Inbreeding is also an issue as the herds tend to be isolated. Inbreeding has affected the numbers significantly. These herds can be seen near saltwater cordgrass areas and in the wildlife sanctuaries of the Outer Banks. People are asked to stay at least 50 feet away and to please give them the right away. The Virginia Range is found in the state of Nevada in the western U.S. Nevada is home to almost half of the United States’ wild horse population. Many of these numbers are found in the Virginia Herd, which is also known as “Annie’s Horses.” The Wild Horse Annie Act was named after Annie who fought for most of her life trying to get protection for the wild mustang herds across the U.S. The Virginia herd tends to stay in the western part of the state, and the best way to catch a glimpse is to hike up one of the trails that can be found east of the city Reno. The Pryor Mountains of Montana and Wyoming are located in the northern part of the U.S. Here, approximately 150 horses roam the area, mostly to the northeast of the mountain area. These horses have unique markings and colors that are thought to be originated from the Spanish horses that were brought here in the 17th and 18th centuries. Many of the horses have zebra-like coloration on their legs, and some have a long black dorsal stripe that runs down the length of their back. 38,000 acres have been officially designated as protected public range for these herds. Today, you might see them grazing along the highway. 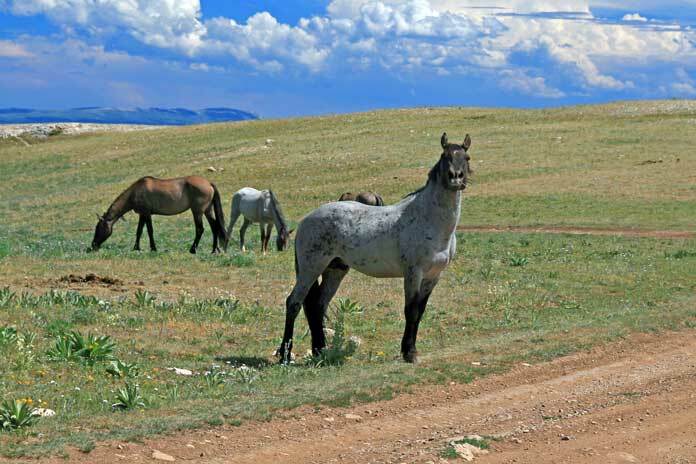 Stop by the Pryor Mountain Wild Mustang Center to see precisely where the herds are located. The center provides updated information about all the horse and where visitors can see them. 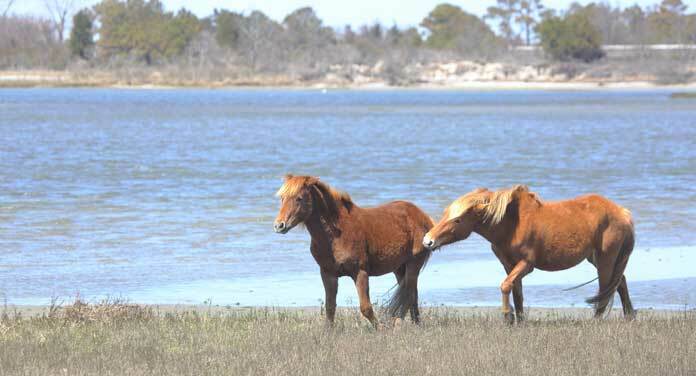 The ponies of Assateague Island were made famous and had drawn worldwide attention thanks to Marguerite Henry’s book Misty of Chincoteague. Today, there are over 300 ponies that wander the island, and the herd numbers are kept down by the annual Pony Swim that is held every July. They are split into two herds, and the state of Maryland takes care of those on the Assateague Island by the National Park Service. The Chincoteague herd is on Chincoteague Island, and this herd is only allowed to have 150 horses in it. 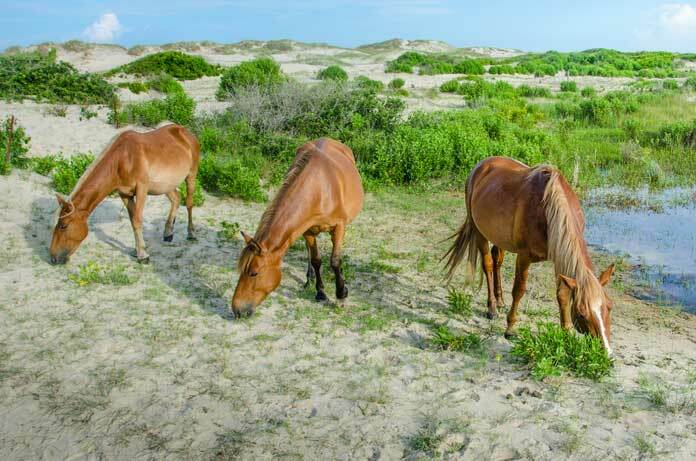 In July, the ponies have swum from Assateague Island to Chincoteague Island, where an auction is held to sell the foals to keep the herd numbers manageable. The proceeds all go to the Chincoteague Volunteer Fire Company that manages the Chincoteague herd. The auction has recently reached its 90th year and is a major tourist attraction of the area. Sable Island is found in Nova Scotia, Canada and is home to one of the most remote herds in North America. The origin of these horses is a mystery, although some scientists state that the horses are descendants of those from the 18th century. There are some arguments as for whether the horses should be allowed to stay there or not, but it seems as if both island and horses have adapted to each other. 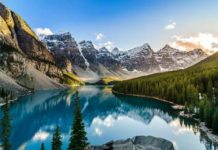 The island is now a Canadian National Park, and it can only be reached by ship or plane. 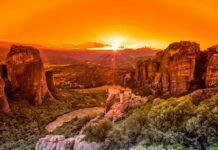 Tour companies do provide tours, although they are a bit expensive. The island tours offer guests a chance to see the wild horses as well as gray seals, beautiful beaches and an untouched island free from human interference. Many of the remaining wild horse herds are now protected from human harm. Since they are protected, herd numbers can often get too large. 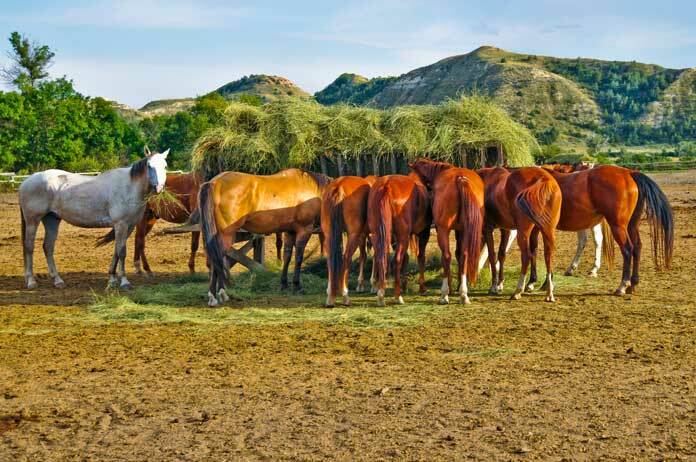 The Bureau of Land Management conducts an “adopt a mustang” program, to keep the numbers down and to protect both horses and resources. Mustangs available for adoption are halter trained and have had some human contact to make them ready for their new home. These horses still roam freely throughout their mountain, island, or prairie homes, available for all to see. The legislation now protects those that remain from harm. 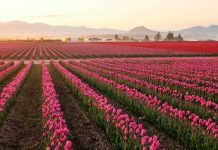 Throughout your travels, stop in one of these beautiful areas to catch a glimpse of what was once thousands of free-roaming horses to now just a few hundred. Their numbers may be small, but the beauty of a wild horse in a beautiful landscape is something everyone should see at least once.